Developer Update: No Fools Today! As previously mentioned, we’ve been working on the next big update that is scheduled to come out in a few weeks. Today I’ll be talking about the changes to the PvP Ladder. I know you’re all familiar with the current system, but just in case, here’s a quick reminder of how it works! Currently, the System works like this: PvP Ranks 1-50 work on a “star” system. Get a win- get a star, get a loss- lose a star. Then when you get to Rank 51 (Legendary), it changes to a Elo based system, known as Legendary Skill Rating, or LSR. What’s changing? All players will now have a “Skill Rating” and for players in the Legendary arena, Legendary will now have 6 different Arenas, instead of 1. 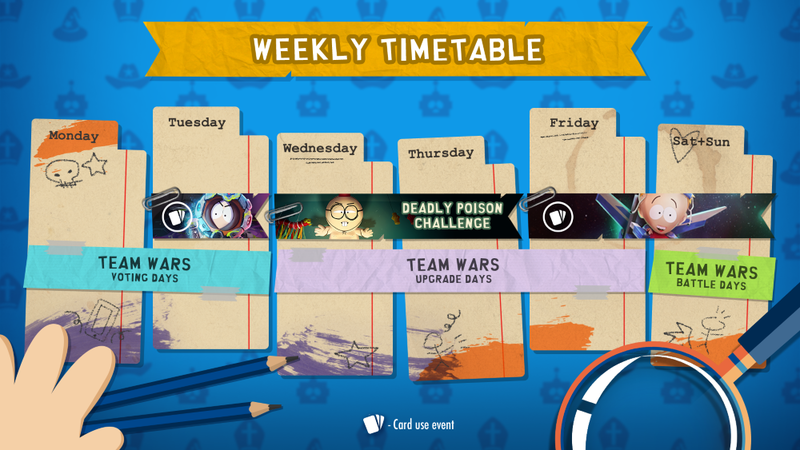 This will affect matchmaking, rewards and will alter the way Legendary Season reset rewards operate. You’ll notice that rewards will scale, based on your PvP arena. 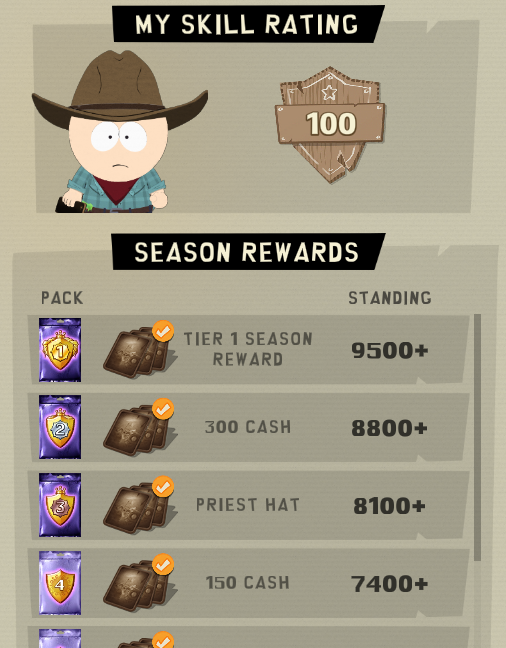 The contents of PvP packs, event packs, and free packs will increase the higher you are. However, the contents of those packs are set from the moment you earn them and not when you open them. This means: if you earn a pack while you’re in Legendary Arena 1 (Arena 11), it will have contents based on that Arena, even if you move up to Legendary Arena 2 or 3 (Arena 12 or 13) and open them. So in order to get the most out of each pack, make sure you’re playing at the highest rank possible! Legendary Leaderboard- Your end of season rewards will be based on your highest Skill rating during the season and will no longer require you to be in the top 25/250 etc… As you can see in the photo below, the rewards (actual rewards may vary) are now tiered based on the amount of Skill Rating earned, so if you had a Skill Rating above 9500, at any point in the season, you’ll earn that prize. The one exception to this, if you drop out of Legendary during the season you will lose those rewards and need to earn a score again. A few things to note that will change with this PvP ladder revamp. You can fall out of Legendary if your skill rating drops below 6000, which will reset the highest reward tier (mentioned above) you have earned. With the new system, all players will start Legendary at the bottom, instead of being placed in the middle (as previously happened). QUESTION: How will my current rank transfer over to the new system? ANSWER: This depends if you’re a player that’s currently in Legendary or not. For Legendary players, it will be your LSR divided by 10 + 5000. So, if your LSR is 12,000 when the update hits, you’ll have (12,000/10) + 5000 which is equal to 6,200. For non-Legendary players, you’ll get a set number with each rank (+27 per star). So if you are rank 20, you’ll have 1404 Skill rating and Rank 20 with 2 stars would be 1458. In next week’s Developer Update, we’ll have some more news about the update! Be sure to check back next Monday for more info! One quick note: The Legendary leaderboard will change once the next update goes live later this month. There will not be outfits in Legendary season resets for next season, we've added more loot to compensate for that. We wanted those unique outfits to be available to more players and there will be more ways to earn unique outfits (info coming soon)! You buff catapult timmy stats and not the piratship timmy stats? what's wrong with u???? Of all the cards in the game, that's the three you chose to balance? I have never seen anyone complain about these cards. What about Satsn, incan, Sharon? Very cool idea with the skill rating change. Looking forward to seeing how it works once launched this month! But for these balance changes... you're killing me. Nothing at all about mystical but a nerf to chicken coop? Weak man... super weak. Looking forward to an unending stream of mystical/scifi decks in top legendary. Thanks for that. Will Coop still spawn the same number of chickens? Any update on fixing the Opponent has left the game Automatic Loss in TvT matches? Help me, i didn’t receive my prize of team wars! Whats happened? where is the buff to drone? When you say the contents of the free packs will increase the higher you are, do you means the amount in the packs increase or the content actually increases I.e higher chance of epics and rares. I am laughing so much right now. Thanks. April is a great month. Thanks Blue.